To weave economic, environmental and social sustainability into Monroe County government and its operations in a manner that preserves the County’s natural resources, protects its budget and enhances the long-term well-being of its residents. 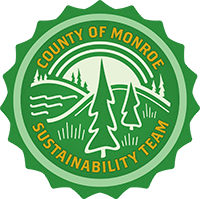 The Monroe County Sustainability Team will provide technical expertise and advice to County departments that enhances their capacity to incorporate sustainability best practices into their operations. In doing so, the Sustainability Team will focus its attention on five action areas and provide specific recommendations to the departments as well as the County Executive’s Office. The Sustainability Team will focus on internal operations of Monroe County government and, where appropriate, the County’s collaboration with outside stakeholders. The goal is not just to implement sustainability policies that are separate from normal County operations, but rather to embed sustainability practices into those operations in a holistic manner. The Sustainability Team will consist of representatives from the following County departments: Environmental Services; Planning and Development; Transportation; Finance; and Parks. These representatives are expected to have a working knowledge of their departments’ respective operations, will collaborate with the Sustainability Team to identify opportunities for improvement in the five action areas, and offer advice on best practices to improve sustainability outcomes that reflect the values embodied by the County’s sustainability mission statement. The Sustainability Team will meet monthly to discuss ongoing and planned County initiatives that fit into the five action areas. During the meetings, each action area will be opened for discussion sequentially, eliciting initiatives and operations that fit into each. Where appropriate, the Sustainability Team will offer formal recommendations to the relevant department(s) on how to modify or add to its plans, thus weaving sustainability into existing operations. These recommendations will also be shared with the County Executive’s Office. Furthermore, the Sustainability Team will compile an annual Sustainability Snapshot, detailing progress made by the County in the five action areas over the previous year, as well as set Goals and Priorities for the year to come. Monroe County worked closely with project partners on implementing the Green Building Policy during MCC's Downtown Campus project. The project earned LEED Gold Certification. The Sustainability Team will oversee the County’s existing Green Building Policy, which requires strict adherence to sustainable design and construction principles. 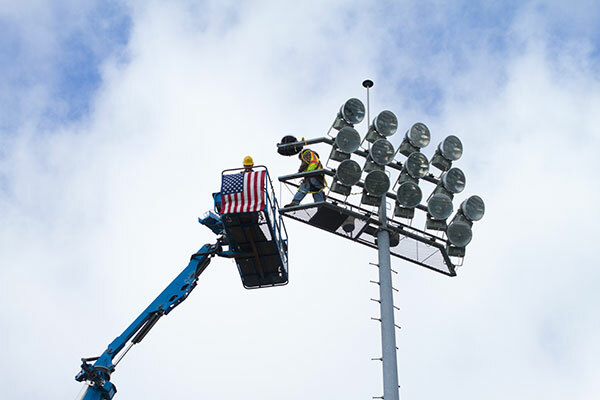 The Green Building Policy requires major County projects to evaluate the potential for LEED Certification from the U.S. Green Building Council. Monroe County has 8 LEED certified buildings (1 platinum, 4 gold, 1 silver and 1 certified) increasing the efficiency with which these buildings and their sites use energy, water, and materials, and reduce building impacts on human health and the environment. There are significant cost savings to County taxpayers through reduced operating costs. The Sustainability Team will also evaluate initiatives in the areas of energy efficiency/performance, sustainable building equipment and materials standards and internal recycling practices for County facilities. which will save almost $400,000 annually in energy costs. The Sustainability Team will advise the County’s Fleet Services Division on trends in electric and hybrid vehicles, alternative fuels and grants available to enhance the County’s existing, award-winning Green Fleet. Monroe County currently has a fleet of 419 alternative fuel vehicles, 19 hybrid vehicles and 1 fully electric vehicle. Three green fueling stations and 3 electric vehicle charging stations are operated, providing alternative fuel for the County’s Green Fleet as well as other municipal Town, Village and City government vehicles. 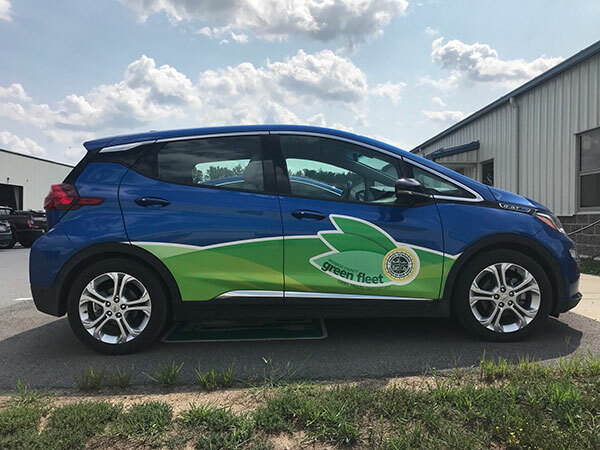 Monroe County has begun pilot uses of alternative fuel vehicles like the Chevrolet Volt and Chevrolet Bolt. The Sustainability Team will evaluate opportunities to expand the County’s renewable energy portfolio in a way that protects the environment while realizing a return on investment for taxpayers. Existing projects include the Northwest Quadrant and Gloria Drive Solar Arrays, the Mill Seat Landfill “Waste to Watts” landfill gas to renewable energy initiative and the purchase of renewable energy for County facilities. Together these operations generate over 17 MW of renewable energy, enough energy to power 17,000 homes. 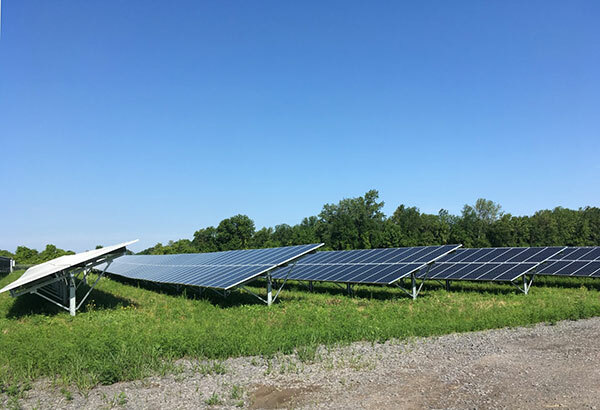 Monroe County recently completed solar arrays at no cost to taxpayers, generating 13 MW of electricity and saving almost $400,000 in annual energy costs. The Sustainability Team will evaluate opportunities to contribute to the County’s resource recovery efforts, specifically in reaching the County’s stated goal of 60% landfill diversion. This manifests itself in contributing technical knowledge in the areas of stormwater retention, recycling, composting and more. 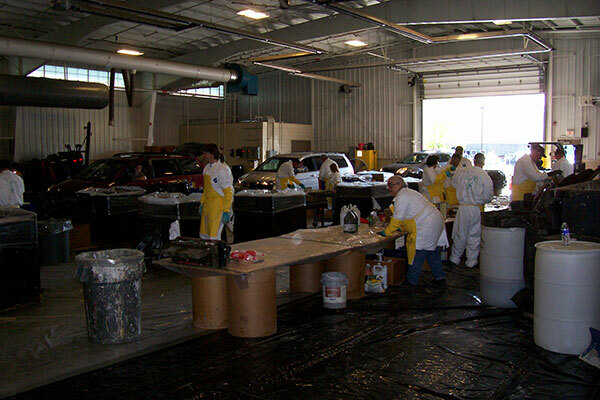 On an annual basis Monroe County’s recycling facilities process 87,000 tons of materials, conserving natural resources, saving landfill space, and creating jobs. Each year 40 billion gallons of water are recovered and reused after processing by Monroe County’s Water Resource Recovery facilities. 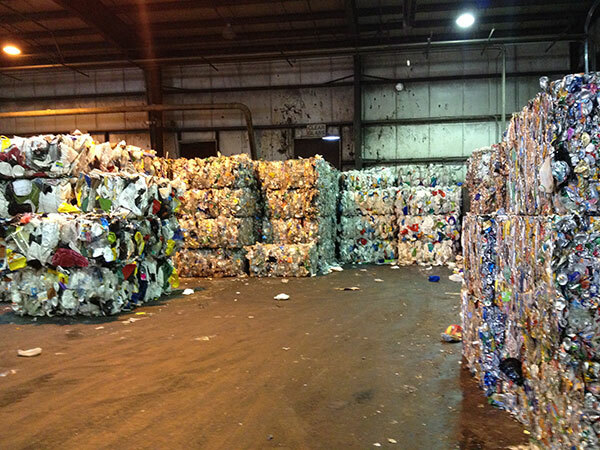 The Monroe County Recycling Center processes 87,000 tons of materials to be sorted, processed, sold and converted into new products. Monroe County's Mobile Recycling Collection program has enabled residents to recycle materials like pharmaceuticals, household hazardous waste and electronics much closer to home. 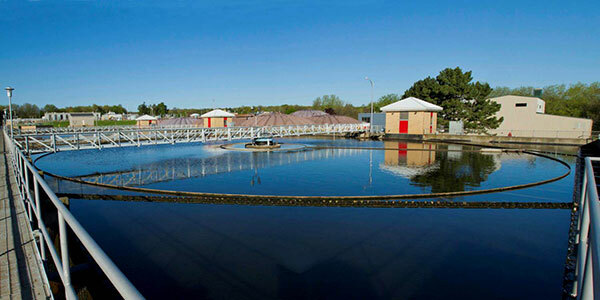 The Van Lare Treatment Plant is one of two County-operated facilities that treats waste water. The Sustainability Team will work with existing environmental educators to enhance public communications regarding recycling, pharmaceutical and household hazardous waste, water treatment and conservation. The Team will serve in an advisory capacity to these public campaigns that protect the environment and require public participation. 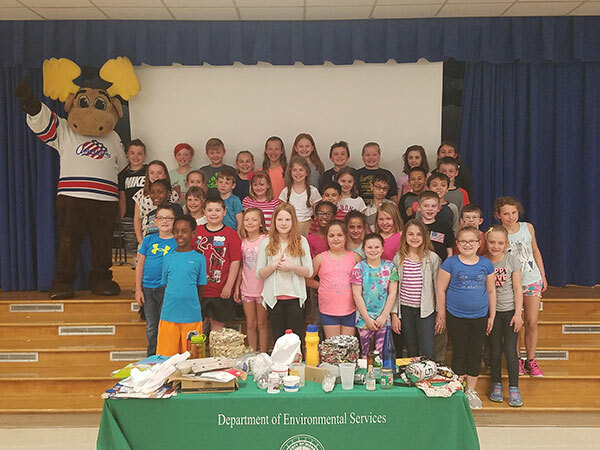 On an annual basis Monroe County’s Stormwater Coalition and Solid Waste Department facilitate presentations in schools and at community events, reaching 65,000 people annually with in person water quality and recycling education. Monroe County's Environmental Educators are available to give recycling presentations to groups of all ages - no matter how big or small!